Like the water line, beautiful light and that great eye..
Leigha, Image has a serene mood. beautiful image Leigh. tack sharp! The sweet light and the low perspective make it for me, Leigh. Excellent. great on the angle taken and wow on that eye, that still water helps the image, superb LEIGHA. Beautiful composition, love the gentle wake and sweet light ! Excellent low angle shot, Leigh. 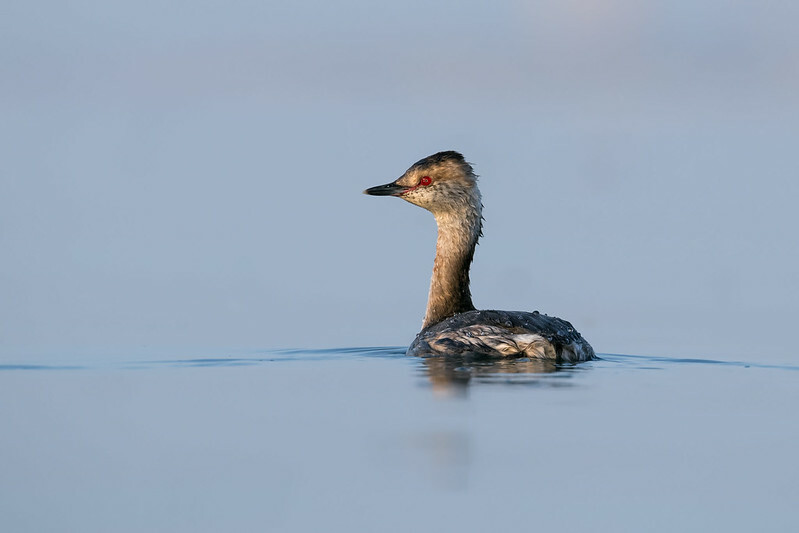 Such a serene scene-lovely soft water for this pretty little grebe.